The Inner Spirit collection from ChloBo jewellery is designed by the fabulous Chloe Moss - and is a celebration of empowerment. 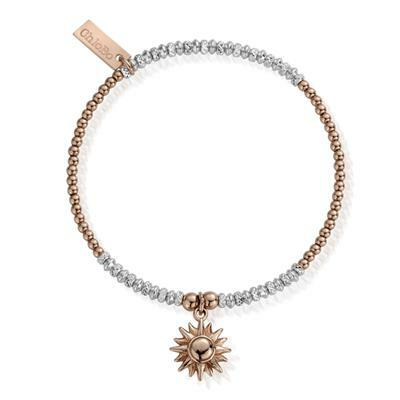 This unique two tone bracelet is beautifully crafted with a string of 925 Sterling Silver and Rose Gold-plated beads and a warm sun charm. The sun is used to represent the strength of the woman who doesn't give up and understands great achievements.